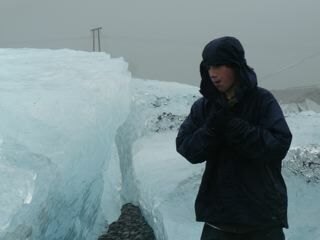 Iceland is an incredibly easy destination to visit, especially with children. For one thing, although the language looks impossible, virtually everyone appears to speak English very well, so you rarely have that sense of helplessness that can be the case when you’re in many foreign countries. Secondly, although there are so few people, facilities are modern and very clean. So there is no feeling of foreboding when you enter a restaurant or hotel. As far as food is concerned, considering how remote a lot of places feel, you can get by, although you probably will not remember the country especially for the cuisine unless you are much braver than us in tasting more exotic fare (We decided not to try puffin, shark or whale). But no matter the size of the town (whether small or tiny), there is always a supermarket around, and you’ll have no problem finding pizza, burgers and other things to satisfy the kids for a few days. Food is not cheap and nor are hotels, but the hotel breakfasts are very good and big and will most likely fill you up for a large part of the day. The best deal we found was the soup and bread course offered in so many places. In many cases you are allowed as many refills as you like (Bautinn in Akureyri and the restaurant in the visitor center in Vik come to mind) which is great on the wallet and because you’ll most likely be cold. Pack well – we didn’t. It will probably be cold, and our trip would have been easier if I’d just been smart enough to pack light gloves, a warm hat, and a coat for each of us. and we each packed sandals which never made it out of our suitcase. We found the driving mixed. Be warned that a road with three digits is a lottery, and can get very rough. If you don’t like driving on gravel, with lots of potholes, stay off these roads. We chose not to hire a 4×4 because of the expense (our small Toyota Yaris set us back about $100 a a day) but even with a 4×4 I would not have tried some of those roads. But if you’re more experienced with a vehicle like that, you may have some fun. We found gas stations well located and not nearly as few and far between than I had feared. 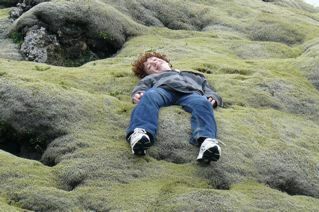 For our son, Iceland was a paradise. 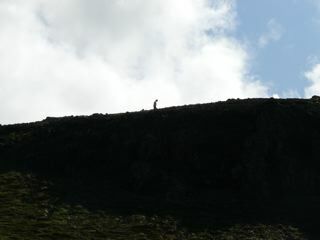 If your kids like scrambling up mountains, or climbing around craters, or just exploring nature, Iceland is incredible. It is a place where you can literally pull off the road virtually anywhere, and find some adventure. You’ll most likely find some amazing sight, and have it all to yourself. Even the most visited sites – Blue Lagoon, Golden Circle – did not feel especially crowded. However, a word of warning : if your children enjoy walking around large cities, with huge markets, museums, colorful local populations, as in South -East Asia or Central or South America, Iceland is not for them. They may become bored, very quickly. But if you and they have a sense of adventure, and are excited by what nature will throw at you around the next bend in the road, this is a fabulous destination. Just dress warm.